When it comes to meat, I think I might create dishes with chicken a little too often. My last chicken purchase consisted of 40 pounds of chicken breast that I have been trying to put to good use. My family might be tired of eating chicken for dinner but I am not. 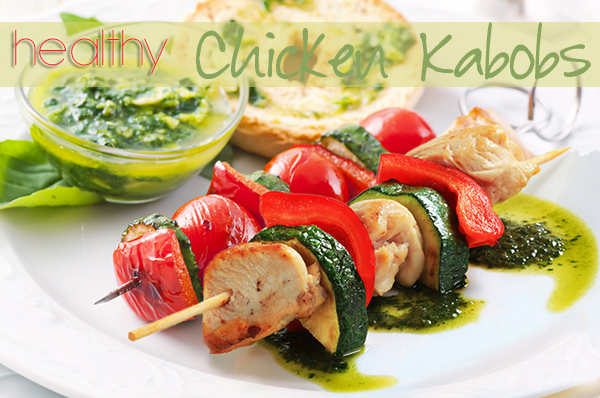 For those of you that like chicken and like veggies, here is a healthy and delicious recipe courtesy of Iberia that includes chicken breast, zucchini, red peppers, cherry tomatoes, basil and the Iberia Extra Virgin Olive Oil. 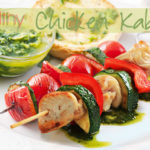 Preheat oven to 400 degrees F. Cut the chicken breasts in large squares and then insert in the bamboo skewers alternating the zucchinis and red pepper. Using the remaining bamboo skewers, make vegetarian kabobs with the cherry tomatoes, zucchini and red pepper, adding salt and Iberia Extra Virgin Olive Oil. Place them in the oven and cook for 30 minutes. Lastly, drizzle some more Iberia Olive Oil on them and enjoy! It’s a spectacular presentation with great flavor!